Cities, states and local governments rely heavily on sales, property and income taxes to increase revenues and contend with everything from aging streets, sewers and bridges to growing debt, long-term pension obligations and education funding. But how much longer can citizens expect local governments to deliver even a bare minimum of services with forthcoming federal tax changes and a prolonged economic recovery from the Great Recession? What new ideas would help cities reinvent their fiscal planning? Can state governments adopt policies that would help municipalities avoid bankruptcy? Motivated by these important questions and issues, which have a significant impact on taxpayers' health, safety and welfare, a local anonymous donor has given $1 million to the University of Illinois at Chicago to establish a center for innovative government finance research. The Government Finance Research Center at UIC, based in the College of Urban Planning and Public Affairs, will help shape and inform public policy through investigations and scholarly discourse on fiscal and governmental issues at the local and state levels. It will also host workshops, conferences and a speaker series, and will offer collaborative research opportunities for graduate students and visiting scholars. According to Michael Pagano, dean of the college and professor of public administration, the need for such a center is heightened by the current trend of governmental decentralization, fiscal restructuring at all levels of government, and challenges due to dwindling resources and future liabilities. 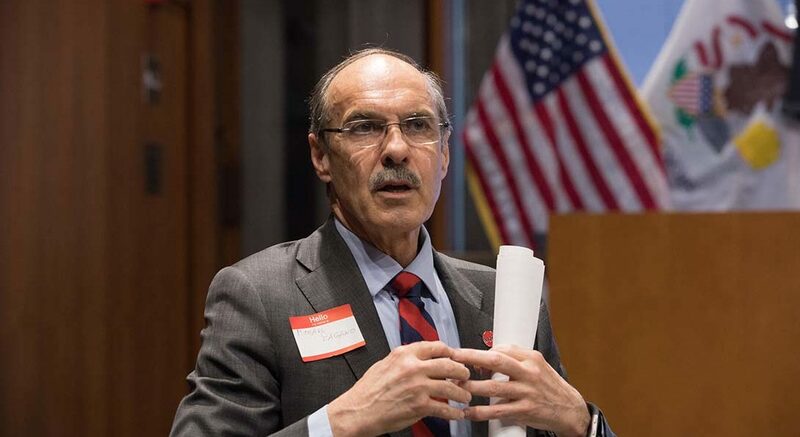 "The center brings together the best academic minds with public and private sector experts to address the pressing fiscal issues in our communities and states, large or small," said Pagano, who will serve as the center's inaugural director. "The time is now to bring public financial challenges to the forefront and discuss outcomes that combine pragmatic solutions with rigorous theory." Focusing on state and local government finances allows a "bottom-up" understanding of the possibilities and constraints on government actions that most closely impact the daily lives of citizens and residents, he added. The center features an external advisory panel composed of leading associations, researchers and government finance experts who will advise on collaborative research opportunities, prominent fiscal policy problems, and appropriate partners to further the center's mission. Among the panel members are the CEOs or presidents of the National Governors Association, the National League of Cities, the Government Finance Officers Association, the Governmental Accounting Standards Board, and the National Association of State Budget Officers. The new research center also builds on the College of Urban Planning and Public Affairs' existing partnerships and collaboration with regional and national civic groups, such as the National League of Cities, the Brookings Institution, the Civic Federation, and the Government Finance Officers Association. More than a dozen UIC faculty members, whose research aligns with the center's work, are members of the internal advisory board, which will review the quality of the center's work and its alliance with the university's mission and statewide goals. "UIC is among a small, distinguished group of U.S. institutions that have such a large number of scholars who research in the broad area of 'government finance,'" Pagano said. "We are grateful for the anonymous donor's trust in the college to lead the center and deliver projects of high visibility and impact." A national search is underway for an associate director, who will coordinate initiatives in research, advancement and external relations on behalf of the center. The Government Finance Research Center joins nine other research centers based in the College of Urban Planning and Public Affairs, which is home to the Great Cities Institute, Urban Transportation Center, Center for Public Safety and Justice, Natalie P. Voorhees Center for Neighborhood and Community Improvement, Survey Research Laboratory, Institute for Research on Race and Public Policy, Institute for Policy and Civic Engagement, Urban Data Visualization Lab, and Center for Urban Economic Development.